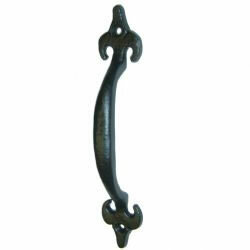 Add a touch of style to your wooden garden building with the stylish antique door handle. 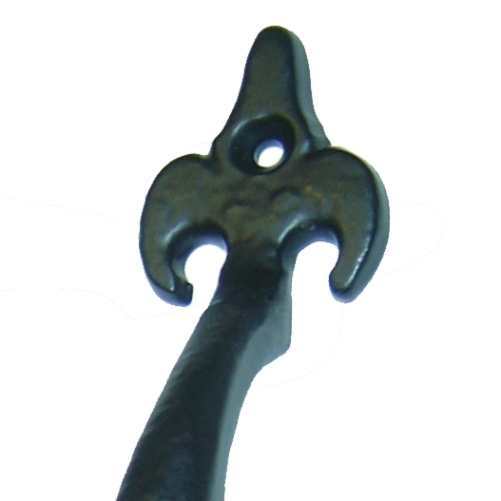 Constructed from long lasting cast iron and completed with durable black powder coated finish this handle is made to last. Excellent quality, easy to erect. The Shed was delivered when stated. Was easy to construct and seems very well pur together/solid. Delivery driver was extremely helpful. Excellent quality and very competitive price having looked around elsewhere. We had spare screws otherwise you may need to purchase some to fix. Once again happy with Tiger quality and service. Once screwed to door, it did exactly as it said on the tin, it pulls the door but with an antique look. The handle is just fine as I'm sure the other style of handle is, it's just we preferred the look of the antique one. Excellent Door pull - does what it says on the Box. 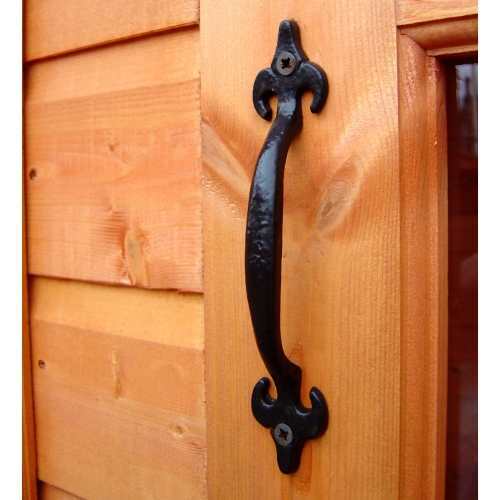 Two sheds ordered and both with Tiger Black Antique Door Pulls. A good quality product and very easy to fit - excellent value.